I am loving that! Looks so cheesy. Cut me a slice of that please!! Man that looks good! That is some kind of great looking pizza! Anything that doesn't live up to your expectations feel free to send my way. I tweaked the recipe a little more. I'm good with this recipe. Very soft bread crust. It is just a little too much dough for the pan I am using. Will scale it down a little and if it's right next week will call this recipe done. Getting some practice with my macro closeup pictures also. WOW!! that looks amazing! way to go ck! I'm glad that you got to where you like the dough. still, looks great from here. 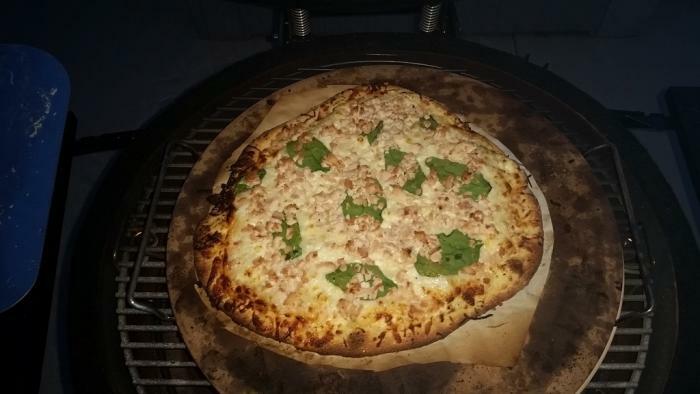 My first attempt at Pizza i do have to say it tasted great! It looks really good. Just think - other than the occasional screw up it will only get better in the future. 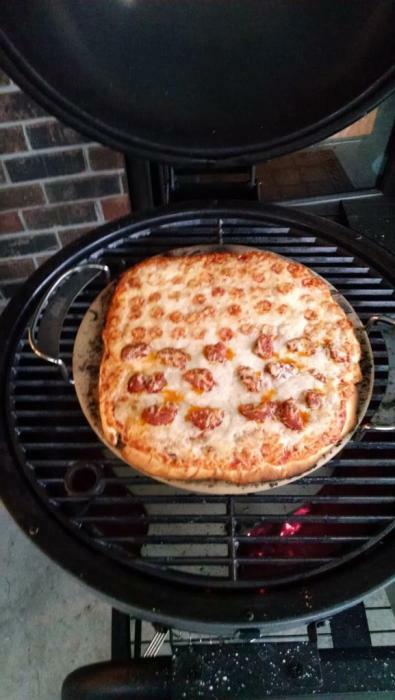 I'm going to have these skillzzzz one day..
Just got my Kamado Joe Classic two days ago and after reading this thread had to give pizza a try. Used chicken I had leftover from the night before. 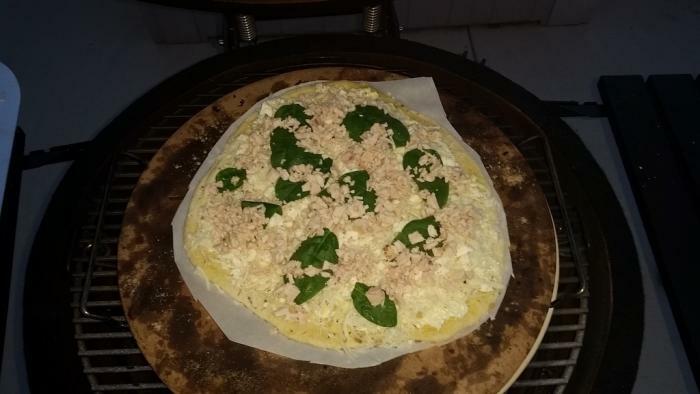 Here is the before and after of smoked chicken, spinach and garlic white pizza with mozzarella, feta and ricotta. 6 minutes on the grill at 750. Followed the tips here about just leaving the parchment paper under the pie. Came out great! The smoky flavor the wood added to the pizza was fantastic. Just used a store bought pizza ball from Publix, but in the future will try home made dough. Really great looking pizzas. 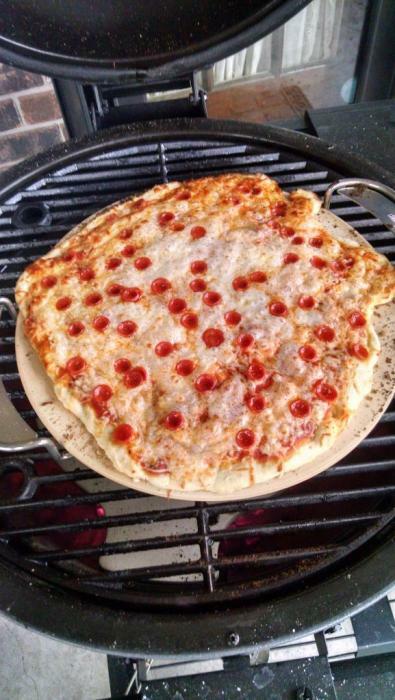 TY for posting this pizza cook. Sure looks good from the OKC viewpoint! Mighty tasty woofins that I'm certain did not last long!